Truly amazing considering the extreme temperatures. Still don’t know why these spikes lean west. 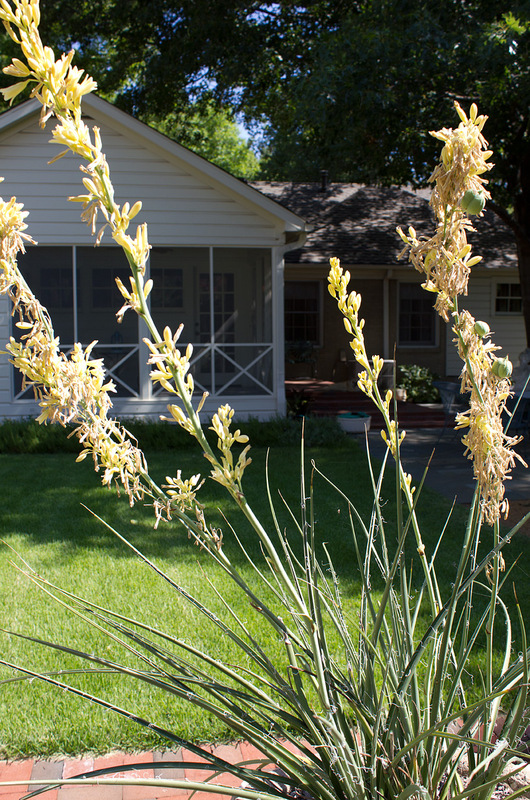 This Yellow flower false yucca continues to thrive while other plants in my gardens show distressing signs of summer fatigue. I’ve started the process of trimming off the top third of the sage, blue mist, and guara perennials in hopes of reviving them in time for one more burst of blooms in the autumn. They had also become too tall and were falling over each other.